Do you need a lawyer to help you lift your traffic warrants so you do not get arrested during the Garland Warrant Roundup? I am Jack Byno, attorney at law and I have represented clients in the Garland Municipal Court since 1994. The attorneys of my firm can post bond, lift your warrants and appear in court on your behalf. Once the bonds are posted, the Garland police will not be looking for you as part of their warrant roundup. Contact me to get your Dallas County traffic warrants lifted today. More about Garland traffic tickets. Do You Have A Warrant In Garland For Speeding? The Garland Police Department has it's pick of two major highways to write tickets on: LBJ and the George Bush Turnpike. Throw in the rest of the city streets and it adds up to easy pickings for writing speeding tickets. After Dallas, Garland and Irving are the next two biggest writers of speeding tickets in Dallas County. Therefore, these three cities have the largest number of traffic warrants. Garland along with most of North Texas participates in the Great Texas Warrant Roundup. To put it simply, if you do not take care of your speeding ticket and it goes to warrant, they will try to arrest you. Contact the attorneys of Jack Byno & Associates to lift your speeding ticket warrants. As noted above, if you retain the service of our law firm, we will post bond, lift your Garland warrant, and appear in court on your behalf. Once the bond is processed by the court, the Garland Warrant Roundup will no longer effect you. 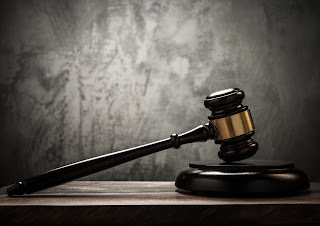 When our attorneys appear in court to plead you case, you will not need to be present. After we have gone to court, we will notify you of the final disposition, how much your courts fees are, and the due date. Contact me to hire a Garland traffic ticket lawyer. I have represented clients with their Dallas County traffic citations since 1994. If you have a traffic violation in Garland contact me . In most cases, I can plead your case to a deferred disposition. If you qualify and successfully complete it, the ticket will not appear on your diving record. You can retain my service now or later, but you keep in mind, if you have a traffic warrant, the Garland Warrant Roundup can come knocking on your door at any time.